The suffering of Christians in Iraq is still ongoing, especially with the growing influence of the Iran-supported Iraqi Militias in Iraq and Syria (IMIS) and its control over Christian-populated areas amid growing fears regarding a process of demographic change in the Nineveh Plains. Thirty years ago, Bartella's population was entirely Christian but demographic changes over the decades left the town split between Christians and an ethnic group known as Shabak, who are largely Shiites. When Daesh overran the town and the rest of northern Iraq in 2014, Bartella's entire population fled — since both communities were persecuted by the radicals. But two years after Bartella was liberated less than a third of its 3,800 Christian families have come back. Catholic priest Behnam Benoka claimed that the Christian community is being pushed out by the Shabak. Most remain afraid, amid reports of intimidation and harassment by the Shabak, who dominate the Shiite militias [IMIS] now controlling the town. One of the biggest points of contention in Bartella is the removal of the Ninewa Protection Unit (NPU), a semi-autonomous police force made up mainly of Christians that guarded the town until Daesh took over. NPU fighters have fled to Kurdish areas and have not returned, which adds to the reasons why Christian families have been wary of returning. 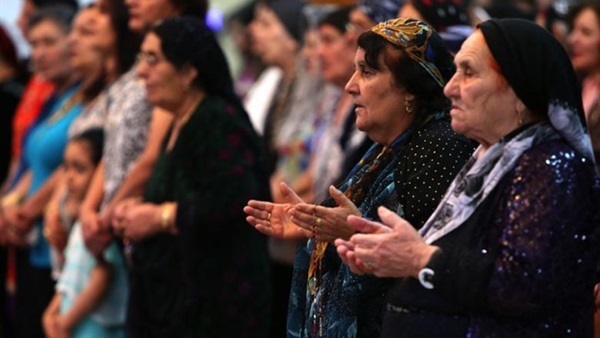 The Christian community in northern Iraq’s Nineveh Plains complain of rights violations by the IMIS. The majority of Christians have not been able to return to their areas despite the defeat of Daesh due to threats and violations from the IMIS. The population of Christians in the Nineveh Plains before Daesh attacks was around 140,000 people. Following the extremist group’s assault on the region, thousands of Christians were forced to flee to Kurdistan. Iraqi political analyst Firas Elias told The Reference in an interview that after liberating the city from the grip of Daesh and as the majority of the Christian population left their houses, many of Christian properties got either seized or sold without informing their owners. He also pointed out that this shocked most of the Christians who returned to their town either received threats, or are still seeking ways to prove their original ownership of their own residents and properties. Elias further affirmed that the crimes, terrorist operations and bombings that targeted Christians and churches in Baghdad this year were mostly committed by these militias that are being supported by Iran.